At Forna Floor, we factory Pre-Finished Cork Flooring with three layers of high-grade water-based polyurethane. 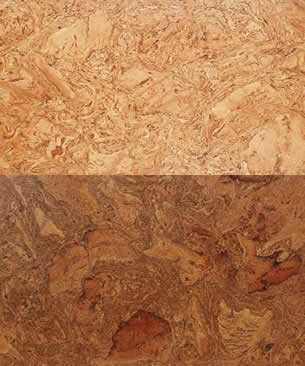 This Pre-Finished Cork Flooring provides a professionally finished floor that is ready to be installed in any room. We finish our products so that our clients can enjoy the beauty of their floors from the day one. We believe our factory finished product stands head and shoulders above our competition’s raw or unfinished cork products. We guarantee our products will be free from manufacturer’s defects for 25 years. We guarantee our finishes will last the same length as the floor. But why all this fuss around factory finished cork? It takes a look backward to see why we have chosen this path forward. When cork flooring made its first foray onto the market and into our homes and offices in the 1960’s, most if not all of the products were unfinished and expensive. This left the final touches in the hands of the contractors or the owners of the floor themselves. At the time, it was thought this was a choice that made the owners happy. The owners chose cork then they had to choose the finish. In theory, the owner would stain and varnish their cork product to achieve the perfect floor. In reality, this approach proved to be cork’s down fall. The stains proved disappointing in the hands of novices and the finish of the varnish, when applied with a heavy hand, produced undesirable results. And all this with a hefty price tag and nothing but an ugly floor to show for it. No wonder cork has a bad name in the flooring industry! Some of our competitor’s continue selling raw cork flooring with the promise of dozens of stains to suit every style and every budget. Many clients have succeeded in finishing their cork floors. Not all have been satisfied. Many have failed – miserably; the experience having left them after many days of hard work with an unsightly floor that could never have matched their expectations. We understand the history. We understand the disappointment. We have long since recognised the need for factory finished cork tiles and floating floor planks that are guaranteed for the life of the floor. We have never wavered from this approach and we have been well rewarded for our decision. Go ahead. Reward yourself with a factory finished cork floor. It will never disappoint.